In a galaxy far, far away, … Or maybe just in Anaheim, California…lies the planet of Batuu. For years, young jedis have waited for the addition of a new land, themed after a remote planet. And on May 31, 2019, they will be able to experience Star Wars: Galaxy’s Edge (aka Star Wars Land) at Disneyland Resort. There are a lot of questions regarding Star Wars Land and the opening, so we are starting now with our guide and will reveal all as new information is released and the land opens. 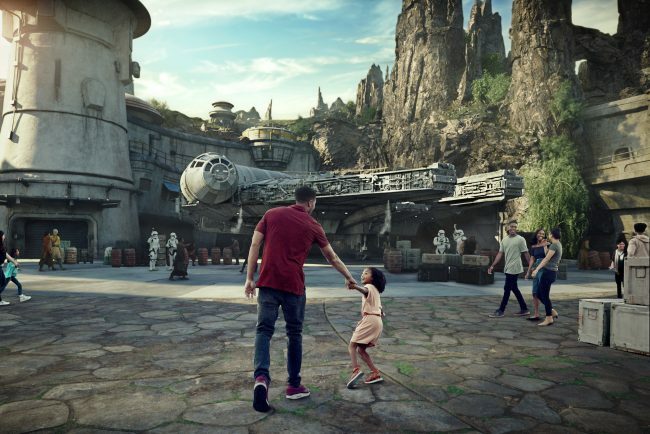 While we wait to actually experience Star Wars: Galaxy’s Edge, here is what we do know so far, and what can help you plan your trip this spring or summer. Star Wars: Galaxy’s Edge is opening in Disneyland on May 31, 2019. Well, most of it is. All of the shops, dining options, and the ride Millennium Falcon: Smugglers Run will all open May 31, 2019. (More on this ride in a moment.) The second ride for Star Wars Land – Rise of the Resistance- will open later this year. 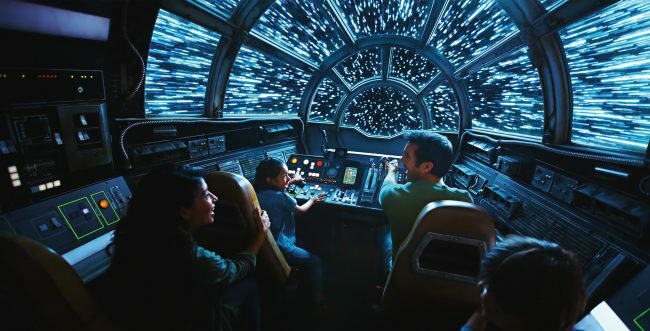 When Star Wars: Galaxy’s Edge opens on May 31, 2019 until June 23, 2019, guests will need a no-cost reservation to experience Star Wars Land. They will also need valid theme park admission (ticket or valid annual pass). How Can I Make Reservations To Visit Star Wars: Galaxy’s Edge? While Disneyland has not yet released how to make reservations to visit Star Wars Land, they have shared that guests staying at one of the three on-site hotels will automatically receive a reservation time. After this news, the rooms at all three hotels quickly booked up for opening weekend, but you may still be able to find a room during the reservation period. Disney has been emailing guests of the on-site hotels their reservation time. However, my group has not received our email yet. It appears some people are reporting their reservation was before they arrive, or their hotel dates were wrong? I will keep this post as updated as I can about this information. For those not staying at a Disney property, Disney Parks Blog reported that the reservation system will go live May 2, 2019. The information on HOW to book will go live at 8 am Pacific Time, and Reservations will open at 10 am Pacific Time. I suggest being online and logged into your Disney account at Disneyland.com by 9:30 and refreshing the page near 10 am. These reservations are sure to fill up quickly. We have learned that guests will have a 4 hour reservation window. Guests that leave during that reservation window will not be able to re-enter the land…so DON’T LEAVE! At the end of the 4 hour window, guests will have to leave the land. It definitely sounds like Disney will do a sweep of the land before each reservation window. If you want to go, whether staying on-site or off, be sure to book your hotel room now. There are still some great deals to be had! I suggest booking your room through Get Away Today. 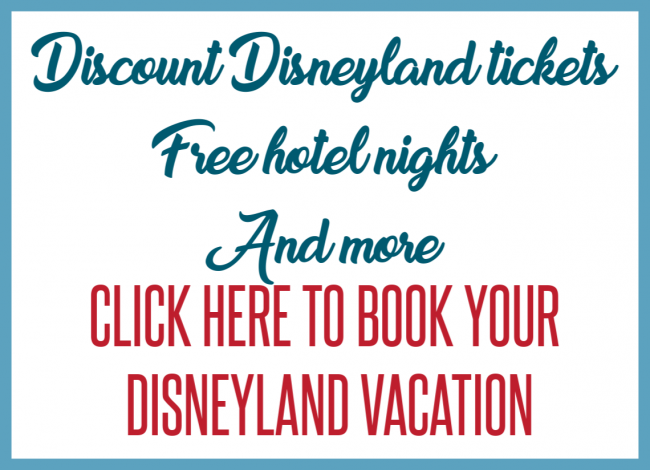 I recently booked a room at Paradise Pier through them as part of a package, and saved money off of Disneyland’s pricing. Click to price and book a package. Where Will Disneyland’s Star Wars: Galaxy’s Edge Be Located? If you haven’t seen where Galaxy’s Edge will be located in Disneyland, it will be tucked back behind Frontierland (sort of). When the opening date announcement came out, they also added the land title on the Disneyland app, so go check it out. There will be three entrances into Star Wars Land. The first two will come from the pathway between Frontierland and Fantasyland. The third entrance will be from Critter Country, down the new path next to Hungry Bear Restaurant. All of the paths, and the general area of the land, are visible on the app, but the details of the land layout are not. Be sure to keep checking back for when they do update the app. What Rides Will Be In The New Star Wars Land? Star Wars: Galaxy’s Edge will have two new rides by the time the land is fully open. Below are the details we have for both rides at this time. In one of the most anticipated attractions, guests will get to actually pilot the Millennium Falcon! Groups of six guests will work together to complete a mission. Each guest will have a role and work together in the mission. During the queue, guests will be able to utilize the Play Disney Parks App to unlock interactive aspects of the queue. We have heard that Disney is working on solutions for after the reservation period, when they expect long wait times. Much like with Radiator Springs Racers, we expect that they will have drinks and snacks available for purchase in line. We have also heard that they are working on a bathroom system for guests in the queue line so that they may exit and return to their place in line for bathroom emergencies. Rise of the Resistance will NOT open on May 31, 2019 and an opening date is yet to be released. Disney has stated it hopes to open the second ride in Star Wars: Galaxy’s Edge later this year. 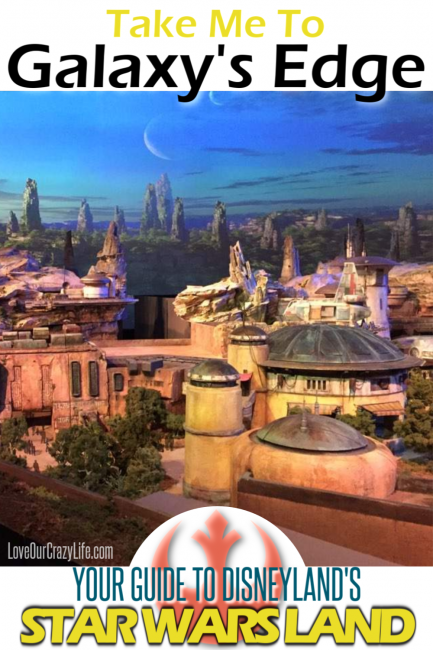 While we don’t know when Rise of the Resistance in Star Wars Land will open, we do know a few things about the ride. Here is what we know? A lot of guests might have questions about visiting Star Wars: Galaxy’s Edge. I am going to do my best to answer these questions, and will continue to add to this list FAQ as we learn more and the land opens. Do I need to be a Star Wars fan to enjoy Galaxy’s Edge? I think one of the biggest talking points regarding Star Wars Land is “I am not a Star Wars fanatic, so will I enjoy it?” or any other similar narrative. This is my opinion, but I think all guests will be able to enjoy Star Wars land. While I do think a basic understanding of the major films is helpful, I think anybody will be able to enjoy Star Wars: Galaxy’s Edge. I remember being in awe (and I still am) of the details of Cars Land, so I can only imagine the details going into Disneyland’s Star Wars land. 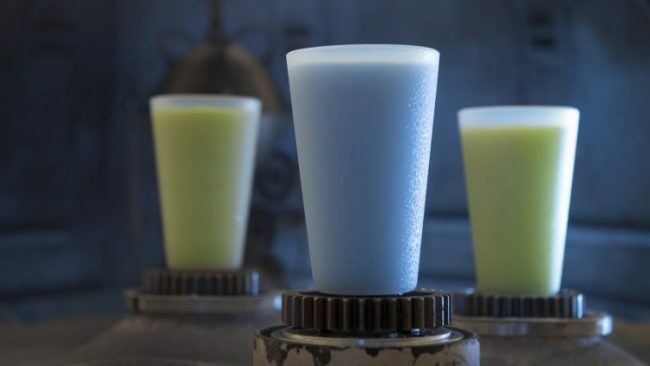 While a general understanding of the characters is a plus, and maybe understanding why blue milk is significant will help, I believe most guests will be able to appreciate Star Wars: Galaxy’s Edge and enjoy the attractions, restaurants and merchandise offered in the land. How bad will crowds be when Star Wars land opens? Probably the other most popular conversation topic regarding Star Wars: Galaxy’s Edge is the effect it will have on crowds. Currently, Disney is working to prepare Disneyland for the opening of Star Wars Land and improve traffic flow and guest experience. Project Stardust is the name given to preparing the park for the opening of Galaxy’s Edge and the expected crowds. Disney also banned items from the park, including large stroller, smoking and more. All of these steps, and rumors among Disneyland experts, most likely have you worried that crowds will be unbearable. Truth is – we don’t know what will happen. 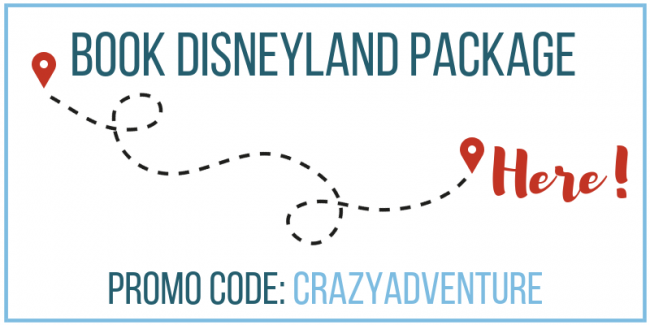 The reservation system *should* help crowds during the first three weeks, as should the Disneyland park blackout on Deluxe Disneyland Annual Passes mid-June through August (Deluxe Passholders may still access California Adventure Park) which also should help with crowds. We also do not know how the delayed opening of Rise of the Resistance will change travel plans for those hoping to experience the entirety of the land. Do we expect crowds to be higher? Of course! But there are lots of ways to manage the crowds at Disneyland. Here are some tips to help you still get the most out of your park time, even with the crowds from Star Wars land. Take advantage of early morning hours. Be at the park gate at least one hour before park opening. Purchase multi-day tickets so that you have more time to enjoy the parks. Will Galaxy’s Edge have Fastpass or MaxPass? At this time, Disney has stated that Galaxy’s Edge will not utilize Fastpass or MaxPass. This may change in the future, but do not plan on utilizing this system for your time in Star Wars: Galaxy’s Edge at this time. What about Magic Morning or Extra Magic Hour? While I personally feel it would have been genius for Disneyland to make Galaxy’s Edge an onsite-only perk during Extra Magic Hour, they have stated that Galaxy’s Edge will not be included in Magic Morning or Extrs Magic Hour. Will I be able to use DAS for the rides in Galaxy’s Edge? Absolutely! 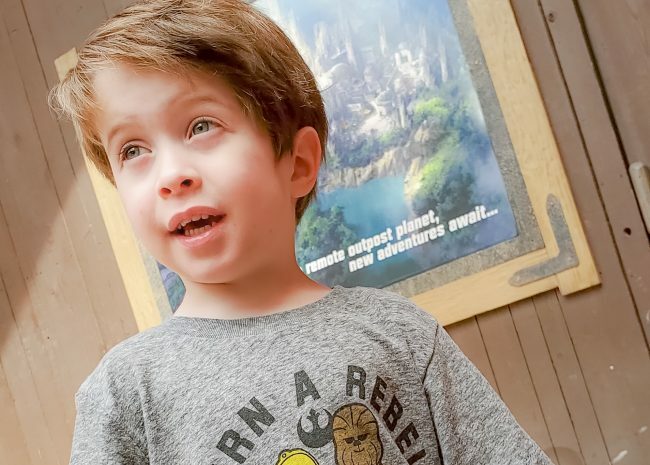 If you utilize the Disney Disability Access Service for you or another member of your party, you will be able to utilize it in Galaxy’s Edge. Just remember that how this system works is different for every individual based on their specific needs. 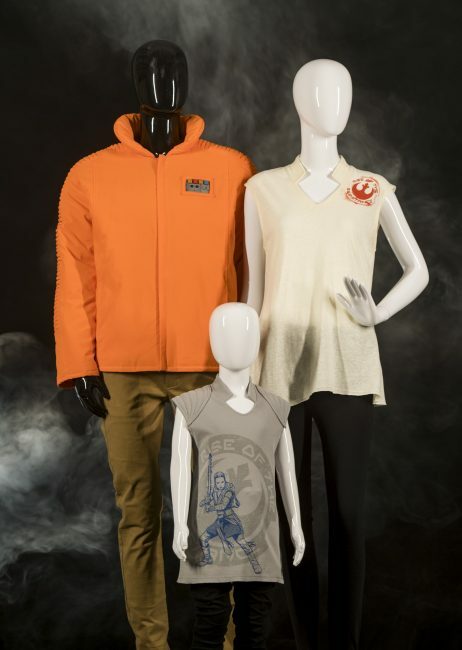 Will there be gift shops in Star Wars: Galaxy’s Edge? 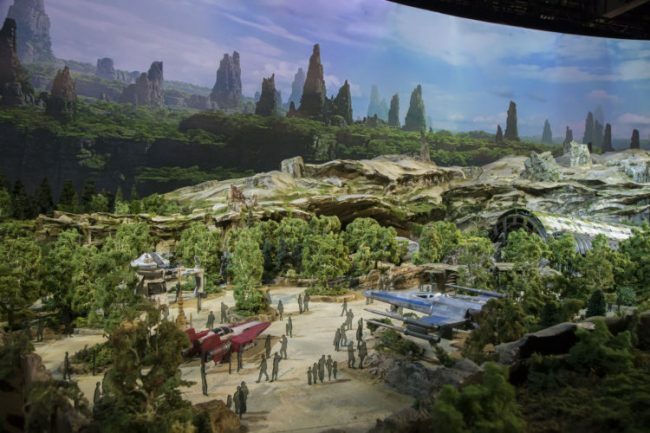 Disney is really committed to the theming in Galaxy’s Edge and wants their guests to feel like they are on the planet of Batuu at the Black Spire Outpost. Media outlets that have toured the land, have reported that Disney will bring this theming into the gift shops as well. While you can build a droid, or a light saber, you won’t readily find anything that screams “Disneyland” in the area. They are calling the shops “established merchants” and they will have names like Toydarian Toymaker, Creature Stall, Dok-Ondar’s Den of Antiquities, and Black Spire Outfitters. I will be updating this section as more info come out about actual merchandise pieces, but until that time, you can check out the info on the Disneyland website about the gift shops. I heard alcohol will be served in Star Wars Land, is this true? Yep, it is true. 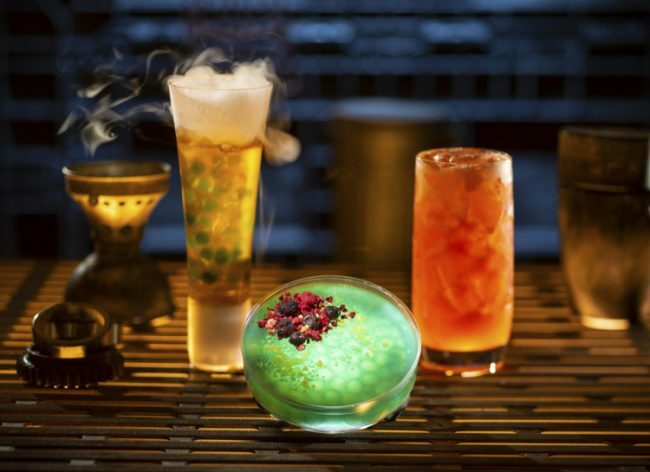 Oga’s Cantina will feature alcoholic beverages, a first for Disneyland park (outside of the exclusive Club 33). Media has reported that beverages with alcohol must stay in the Cantina. As usual, proper ID will be required for guests to show they are of the legal drinking age. The Cantina will also serve non-alcoholic drinks, including some mocktails. What other questions do you have about Galaxy’s Edge that you would like answered? Let me know, so I can add questions and answers to this post for you! And of course, I will continue to update this post as we learn more about Galaxy’s Edge.